On Monday, July 4, there will be plenty of free family activities at the Boca Raton Fabulous Fourth Celebration. From 6:30 p.m. to 9:00 p.m., at the Spanish River Athletics Complex, there will be activities including a zip line, carnival games, and rides, children’s crafts, as well as food for purchase. Starting promptly at 630 p.m. the All-Star Band will be taking the stage to bring you classic rock n’ roll tunes spanning from the 60’s to the 80’s. A fantastic fireworks display will follow the band at 9 p.m. Parking will not be a hassle as there is a free trolley service from the Boca Corporate Center and Campus starting at 5:30 p.m. and continuing until 10:15 p.m. Click here for the Trolley Map. 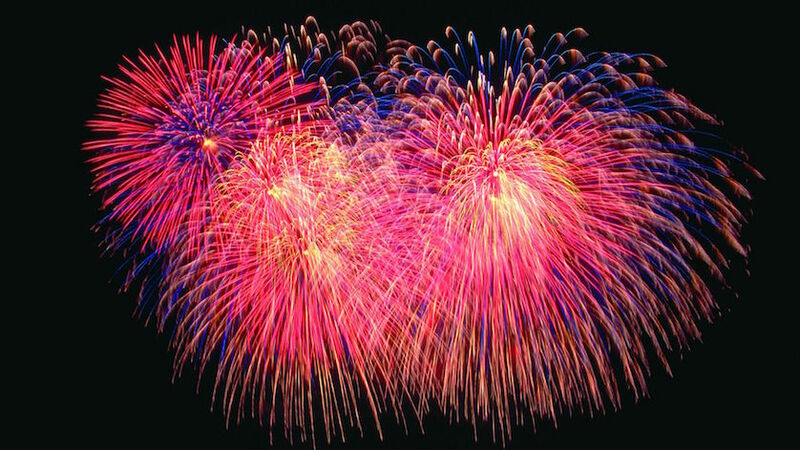 Boca Raton Fabulous Fourth Celebration is location at 1000 Spanish River Blvd. Delray Beach is celebrating the nation’s independence on Monday, July 4th on A1a and Atlantic Avenue. This free event will feature many activities for the whole family to enjoy. From 4 p.m. to 10 p.m. You and your family can enjoy a splash zone featuring water slides and games, a Kid’s Corner hosted by the Avenue Church with face painting, crafts, sidewalk chalk, and more! Burger Fi, Caffe Lune Rosa, and Boston’s on the Beach will be hosting a Beer Garden specifically to cool down the adults. Kids and adults can participate in two separate eating contests. There will be a custard eating contest for children and a burger eating contest for adults. Challenge your friends to a game of putt-putt on a mini golf course, or join the sand sculpting contest. After all the activities you can relax while watching a grand firework display starting at 9 p.m. The fireworks will be launching from the North end of the beach. While the event is free, you may have to pay to park. For a complete list of parking lots in downtown Delray Beach click here. For just $80 a person you can watch July 4th fireworks from the best seat in town! Starting at 7 p.m. hop aboard the Delray Yacht Cruises Fireworks Cruise for an evening of buffet dining and music as you watch fireworks light up the sky above the Intracoastal Waterway. To hold your spot on one of the most magical Independence Day experiences around click here. If you’re looking for a more intimate way of spending July 4th, join Dada for their 6th Annual 4th of July Charity Barbecue. Located at 52. N Swinton Ave in Delray Beach, you can enjoy a full BBQ dinner for just $20 a person. There will also be a live jazz-funk band called Tchaa that will be performing throughout the evening. This barbecue will support the Healthy Bellies Charity, who helps feed families in the Delray area. Just because you won’t be at the large city festivities doesn’t mean you’ll miss out on the fireworks. Support an amazing cause and get a great view of the fireworks that will be exploding over Atlantic Avenue at 9 p.m.